The 2018 Mount Robson Marathon and events will be taking place on Saturday, September 8th! We are eager to share what we believe to be one of the most spectacular outdoor recreation areas in the world. 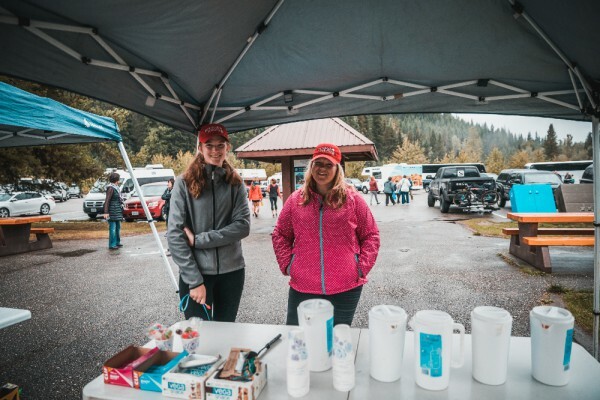 If you have any questions about the event, please do not hesitate to contact us at info@mountrobsonmarathon.ca, or on the Mount Robson Marathon Facebook page. I hope to see you at the start line in September! 2018 will be our fourth year running the extended 50km ultra marathon distance. 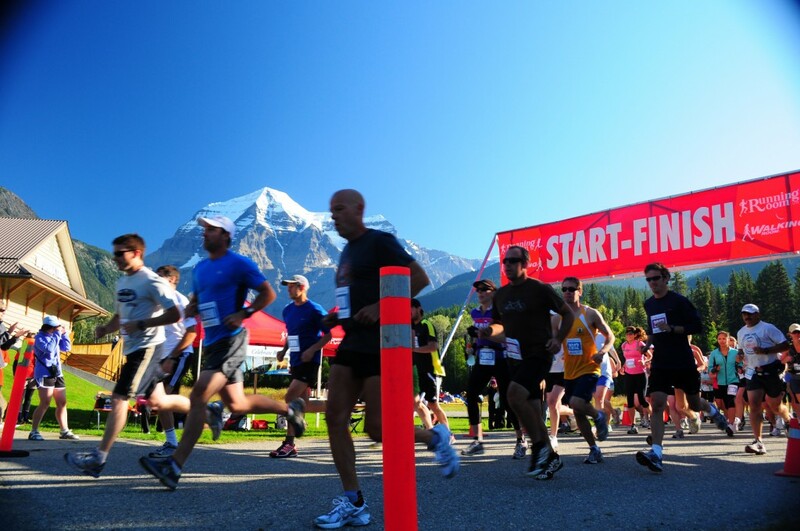 There will also be the half marathon, Kinney Lake 12 km, and Flatlander 5 km events to choose from; something for every type of runner! These are all out-and-back runs starting at the Mount Robson Visitor Center, which head up the famous Berg Lake trail. We expect many of these events to fill up, so please sign up in advance online to avoid being disappointed. Online registration will be open on March 1st through the Running Room online registration system. A link is posted on our registration page. Currently the Ultra and Half Marathon are sold out, and limited spots are available in the 12km and 5km runs. Sign up early to avoid missing out, as day-of registration will not be available this year. In addition, children under 12 years of age will be able to participate in free 3/4km “Kid’s Fun Run” around the nature trail near the Visitor Center. Parents are welcome to assist the little ones. The Kid’s Fun Run is free and does not require online registration. Sign up will be on the day of the event onsite. 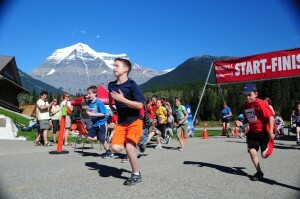 All events start and finish at the Mount Robson Info Centre. In addition to the races there will be other activities for all ages and interests taking place in and around the Visitor Center throughout the day. Stay tuned for our race day schedule of events. Thank you to all of the sponsors and the many volunteers who make all these events possible. To see what you missed in previous years, or to relive some fond memories, please have a look at our photo gallery at www.flickr.com/photos/mountrobsonmarathon or check out our Facebook page. We are also currently recruiting volunteers for the 2018 event. We have been incredibly fortunate to have some fantastic volunteers, who also have an incredible time outside in the spectacular mountain setting. We are looking for more great people to join the team this year. Those interested in participating as a volunteer can email Jean Ann Berkenpas at info@mountrobsonmarathon.ca . We hope to see you out on the trail on Saturday, September 8th!